Languages: Russian, Chinese Traditional, Chinese Simplified, English, German, Spanish, French, Italian, Japanese, Korean. PTC Inc., is pleased to announce the availability of Creo View 5.1 F000, is a powerful and highly scalable viewer for visualising 3D and 2D models from all major CAD applications, as well as drawings and documents from a variety of sources. About PTC Creo View. 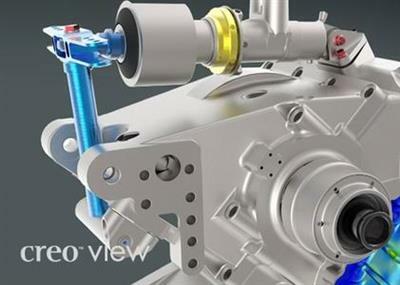 Creo View is a mechanical computer-aided software and product lifecycle management solution that enables manufacturers and engineers to visualize and share 3D CAD product information, models, assemblies, drawings, images and documents for interrogation and visual collaboration. It is a simple yet powerful MCAD viewer which allows users to access and share 3D CAD information with colleagues within their organization and with their partners and suppliers outside the organization.